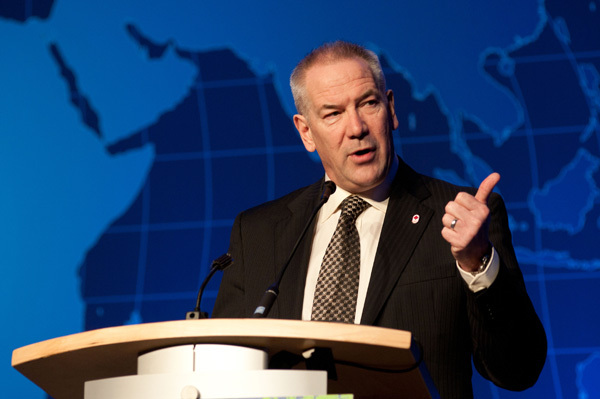 Steve Williams, Suncor president and chief executive officer. A technology revolution is taking place in the Alberta oil sands. Suncor and Cenovus, two of the largest oil sands producers, released their sustainability reports earlier this week and both are making steady progress toward the goals of reducing the carbon-intensity of their crude oil by a third by 2026. Think about that for a moment. After being vilified as “dirty oil” by former President Barack Obama and a “carbon bomb” by environmentalists, in situ-produced bitumen will soon have the carbon-intensity of the average American light sweet crude oil. Or maybe even lower, which might be a difficult feat, but not an impossible one, Dinara Millington, VP research of the Canadian Energy Research Institute, told me in an interview. 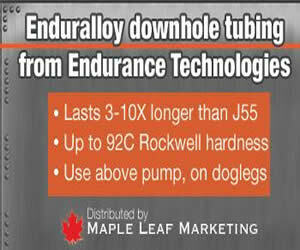 And why would we be surprised at the remarkable innovation taking place in the oil sands? The world is awash in crude oil at the moment because American producers responded to the Saudi attempt in 2014 to drive them from global markets by innovating – driving costs down and productivity up, largely with new technologies and new techniques. Alberta oil sands producers are simply doing the same in their industry. And in the process of innovating they are preparing their companies to compete in a carbon-constrained, long-term low price environment. “It’s evident that to remain a central part of the energy equation, oil and gas producers need to be carbon-competitive and cost-competitive,” according to Suncor CEO Steve Williams. 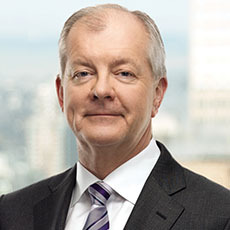 Brian Ferguson, CEO of Cenovus. “Canada’s oil sands industry is experiencing a renaissance driven by innovation and the application of new technologies to help us develop our resources in a cost-competitive way that supports a low-carbon future,” says Cenovus CEO Brian Ferguson, who retires at the end of Oct.
Kevin Birn, IHS Markit director Oil Sands Dialogue, says the steam assisted gravity drainage technology that enables in situ oil sands production is only 16 years old and was due for the next iteration. That next tech generation will likely be linked in one form or fashion to the substitution of solvents for steam. 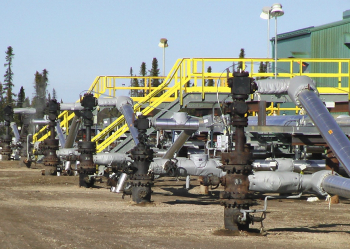 There are two horizontal wellbores in the SAGD process, one a few metres above the other. High pressure steam is pumped into the reservoir through the upper well, the bitumen is heated up and becomes less viscous, then the bitumen is able to flow into the second well and be pumped to surface. SAGD is “dirty” because it uses plenty of natural gas to create steam. Swap solvent, which can be recycled, for steam and companies not only lower costs, but they significantly lower greenhouse gas emissions created by burning the gas. Loosely translated, production from American shale wells is high at first, but then declines very rapidly, often within a year or less. That means producers have to spend a lot of capital to drill news wells or re-fracture the old ones. Suncor Firebag well pad 2. Photo: Suncor. The oil sands, by contrast, are like a factory. Once the capital is spent to build the facilities and infrastructure, the factory can pump out product at a relatively low cost for a very long time. And the factory owners, Suncor and Cenovus in this case, can invest capital to optimize operations, bringing in new ways of extracting bitumen at a lower cost. Millington was lead author of a CERI study released early this year that estimated production cost savings of adopting new solvent-based technologies to be 34 to 40 per cent. “The world is moving towards a low-carbon future. We believe Canada has a tremendous opportunity to develop and become a global supplier of carbon-reducing technologies that will ensure that oil and natural gas can continue to play a role in a clean-energy future,” Cenovus spokesperson Brett Harris said in an email. Low-cost and competitive, able to compete long-term against other heavy crude oils in a global market that might not see higher prices for a long time. Declining carbon-intensity – soon to be much lower than heavy crude from competitors like Venezuela, Mexico, and Nigeria – in a world that is decarbonizing its energy systems and will soon be penalizing oil with high greenhouse gas emissions. Made in Canada technology that not only gives Alberta oil sands producers a competitive advantage, but opens opportunities to export that could generate significant revenue. What a terrific story! One that Canadians in other provinces (hello, British Columbia) need to hear, but one that is rarely promoted outside Alberta. 5 Comments on "“Technology renaissance” transforming oil sands in situ production – lowering costs, carbon-intensity"